We here at Cinema Blend have been spending the last few hours reflecting on the life and career of Robin Williams, who sadly passed away this afternoon at the age of 63. 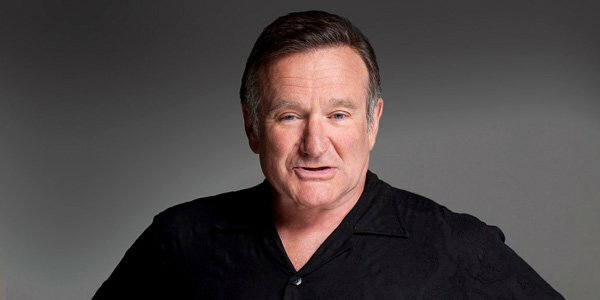 We’ve teared up remembering his performances in movies like Good Will Hunting and Dead Poets Society, and found ourselves laughing thinking about scenes from The Birdcage and Jumanji. The actor has left behind a legacy filled with some titles that will be remembered from now until the end of time – but the good news is that we haven’t seen absolutely everything from his career just yet. Robin Williams’ most recent film, The Angriest Man in Brooklyn, was just released this past May, but there are still more movies from the actor set to come out both this year and further down the line. Read on to find out when and where you’ll be able to see the Oscar winners’ final performances. 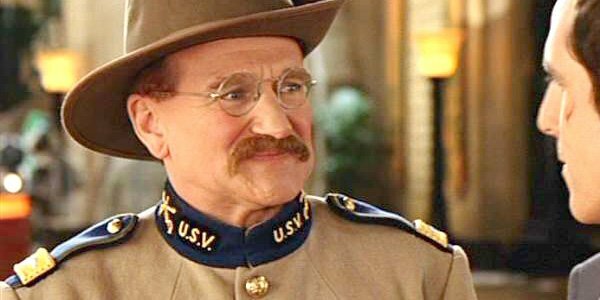 As of now, the only remaining unseen Robin Williams film with a release date is the sequel Night at the Museum: Secret of the Tomb, which will see the Oscar winner reprise his role as President Theodore Roosevelt from the first two Night at the Museum movies. The blockbuster, which will be out just in time for Christmas, is directed by Shawn Levy and takes the action from the U.S. all the way to London, where security guard Larry Daley (Ben Stiller) must try and find a way to restore the magic powers of The Tablet of Ahkmenrah. Along with Stiller, Ricky Gervais, Owen Wilson and Steve Coogan, Williams will be one of the only actors who appeared in all three Night At The Museum movies, though it’s unclear exactly how Theodore Roosevelt will be involved in the adventure this time around. When he was last seen in Night at the Museum: Battle of the Smithsonian, the living exhibit was working as an "animatronic" tour guide in the titular museum. Presumably he will be one of the legends of history whom Larry calls upon for help in his newest mission. Despite having a really fantastic cast that includes not only Robin Williams but also Joel McHale, Lauren Graham, Oliver Platt, Clark Duke, Wendi McLendon-Covey and more, the upcoming holiday comedy Merry Friggin' Christmas (previously known as A Friggin' Christmas Miracle) does not yet have a distributor or a release date. The project first announced its cast back in February 2013 with Community director Tristram Shapeero at the helm, and while the movie has completed filming, it’s not entirely clear on when he will actually get to see the finished product. Based on a script by Ceder Rapids screenwriter Phil Johnston, the movie stars Joel McHale as Boyd Mitchler, a dad who reluctantly agrees to spend Christmas with his estranged family. When he realizes that he forgot his son’s gifts at home, however, he is forced to go on a eight-hour road trip with his father (Williams) so that they can get the presents and make it back before sunrise on Christmas Day. I’m absolutely dying to see what kind of chemistry McHale and Williams can create on-screen as son and father, so hopefully this film will see the light of day sooner rather than later. Some of the best, funniest performances of Robin Williams’ career came in voice-over form, from his role as the Genie in Disney’s Aladdin to his dual role as Ramon and Lovelace in Happy Feet, and one of his final turns is in that same spirit. Instead of being an animated film, however, the movie is instead the Terry Jones-direct sci-fi comedy Absolutely Anything, which features Williams voicing a canine named Dennis the Dog. This project has been in development for many, many years, and it was actually all the way back in September 2010 when Williams first signed on. The story follows a teacher who finds himself in a series of mishaps after discovering that he has magical powers. It’s not quite clear what Dennis the Dog’s role in the story is, but it’s not hard to guess that the talking animal is somehow created by the lead character. 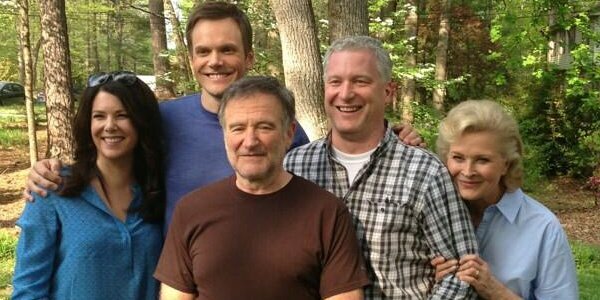 Like Merry Friggin' Christmas, Absolutely Anyting doesn’t have a release date yet, but it’s entirely possible that Robin Williams’ passing could accelerate things. News of a possibly sequel to the beloved 90s classic Mrs. Doubtfire only came around very recently. Reports back in April said that director Chris Columbus and Robin Williams were working together on the project at Fox 2000, and that Elf screenwriter David Berenbaum had been brought aboard to pen the script. 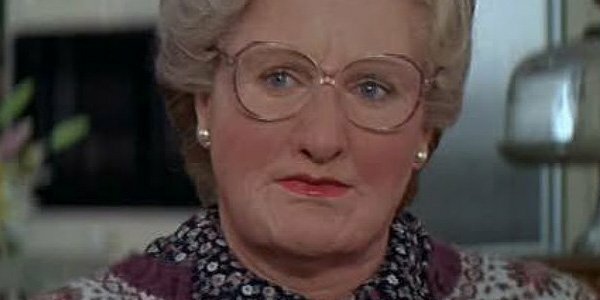 According to a poll taken at the time, most of you were excited about the possibility of a Mrs. Doubtfire 2, but it’s hard to imagine that it would actually happen now. The original Mrs. Doubtfire entirely hinged on the comedic stylings of Robin Williams, with the lead really being one of the few actors out there who could get big laughs out of playing a Scottish nanny while also pulling at our heartstrings as a dad who just wants to see his kids. If Williams hadn’t wanted to be a part of it, it’s hard to imagine that Columbus or Fox 2000 would have wanted to move forward with a sequel, and now that he’s gone it’s hard to imagine that they would take the project any further.